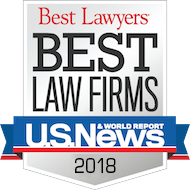 PITTSBURGH, PA. (June 8, 2016) - Thomson Reuters recently announced its Pennsylvania "Super Lawyers" for 2016, recognizing Pittsburgh-based construction law firm Dingess, Foster, Luciana, Davidson and Chleboski (DFL Legal). DFL Legal partner John Dingess was once again named a Pennsylvania Super Lawyer for Construction Litigation, and DFL Legal partner Joe Luciana was once again named a Pennsylvania Super Lawyer for Insurance Coverage. In addition, DFL Legal attorney Samantha Brutout was named a 2016 Super Lawyer "Rising Star" for E-Discovery.